To apply,send your applications to JoinUs@FlyScoot.com with your email title as " Application for the position of Cabin Crew via flygosh.com ". 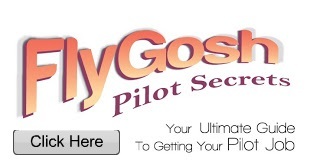 Send your applications now to this exciting new airline if you think that you have "Scootitude ". 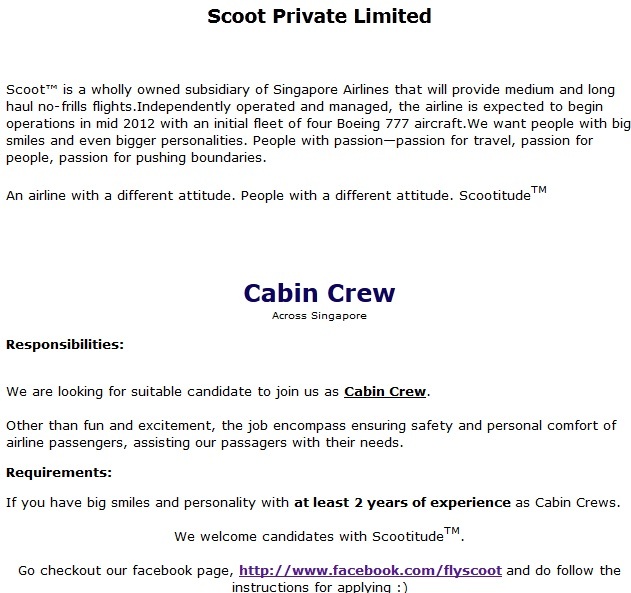 For non experience crew, they will hire in Jan 2012. 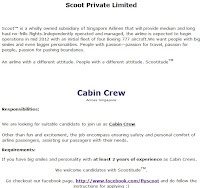 This is their statement "To those of you wondering when we will recruit for those without cabin crew experience - stay tuned because that will happen in Jan 2012. So get ready."